It’s like waiting for a bus. You wait ages for a game against Stone Old Alleynians and then two come at once, this time in the Staffordshire Senior Cup. It was only in September that Khalsa renewed acquaintances with the North West Counties League Division One South side in a 7-3 win for Ian Rowe‘s men in the second round qualifying of the FA Vase. Before that, the most recent meeting between the two was a Staffordshire Vase game at the Staffordshire outfit’s Wellbeing Park home back in March 2015. 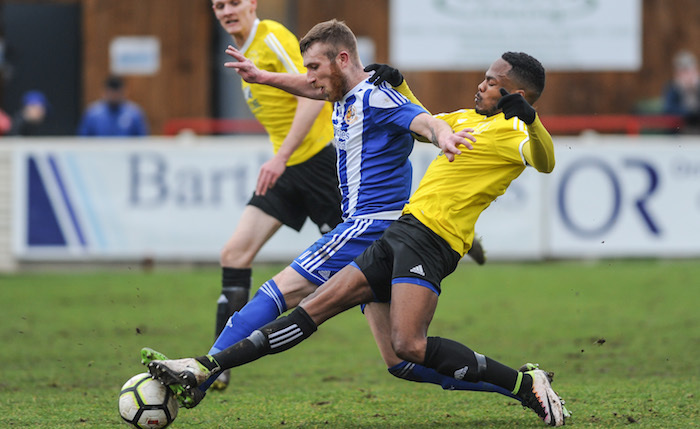 The semi-final game between the sides saw Khalsa – then in the process of breaking records in their pursuit of the West Midlands Regional League title – win 1-0 thanks to a Craig Bannister goal (shock). Those who saw the 7-3 win will remember the scoreline flattered Khalsa a bit and the three late goals were well deserved. So, this won’t be straightforward, at all. 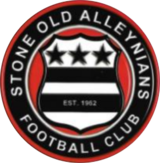 Since that game, Stone have gone from strength to strength and, at the time of writing, they are in fourth place. They’ve won their last three league games. Up front, Stone have a potent partnership with Sam Wilson having bagged 12 goals and Jack Tomlinson a round 20. Both strikers scored in the 7-3 game.